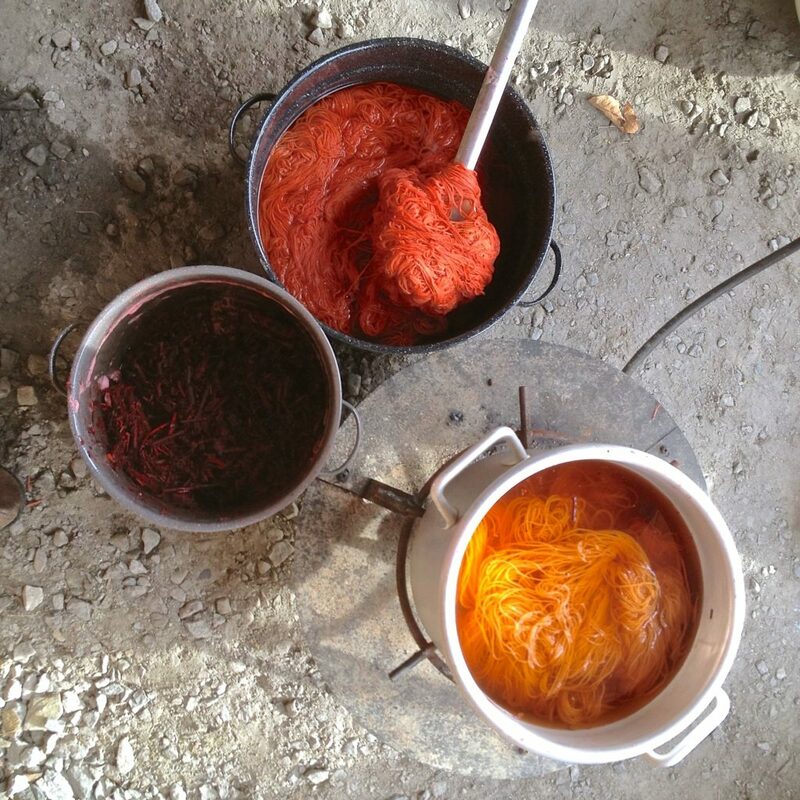 Learn the fundamentals of acid dyeing and create your own color-ways using 4 techniques: kettle dyeing, self striping, painted sock blanks, and speckled yarn. All yarn and dye materials will be provided, and students should bring appropriate clothing and personal safety gear*. 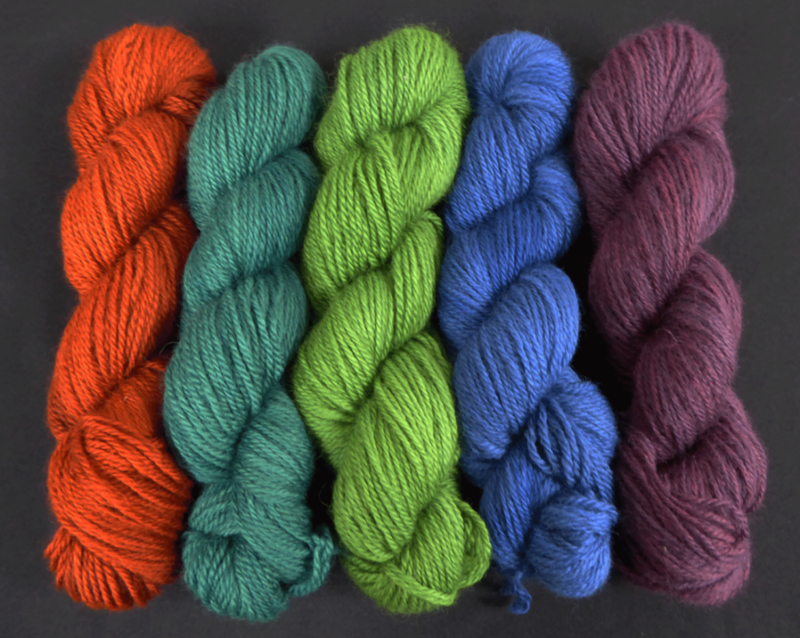 Each participant will take home several skeins of finished yarn to use in personal projects. Location: Our farm in Tunbridge, Vermont (near East Bethel and I-89, Exit 3). You must be 18 years of age or older to participate. The class fee is due on registration. Please review our workshop registration policy before signing up. * For safety, students will be required to: wear comfortable cotton or other natural-material work clothes that fit well and cover the arms (no loose floppy clothing; no synthetics). Be prepared to tie back long hair. Bring with you: dust mask, eye protection, and heat-resistant rubber gloves.